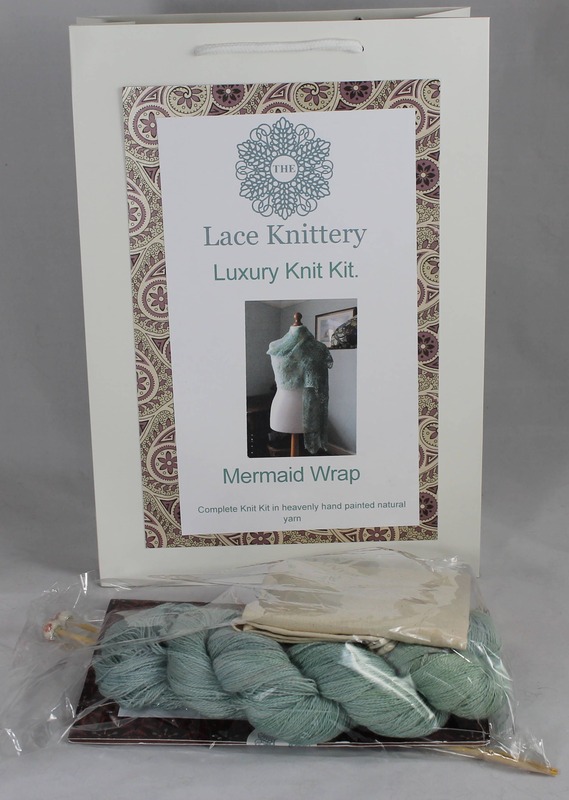 Mermaid Wrap Knitting Kit in Hand Painted Baby Alpaca, Silk and Cashmere Yarn. This wrap pattern came into being when I was rock hounding up on the Bristol Channel, I was enchanted by the fact that razor clam shells were known as 'mermaid combs' on that part of the coast. It was a really hot and still day with the sea like a millpond, a pod of harbour porpoise broke the surface about 10 ft from shore...magical! This wrap pattern has been written by me and is based on a Shetland cockleshell stitch. 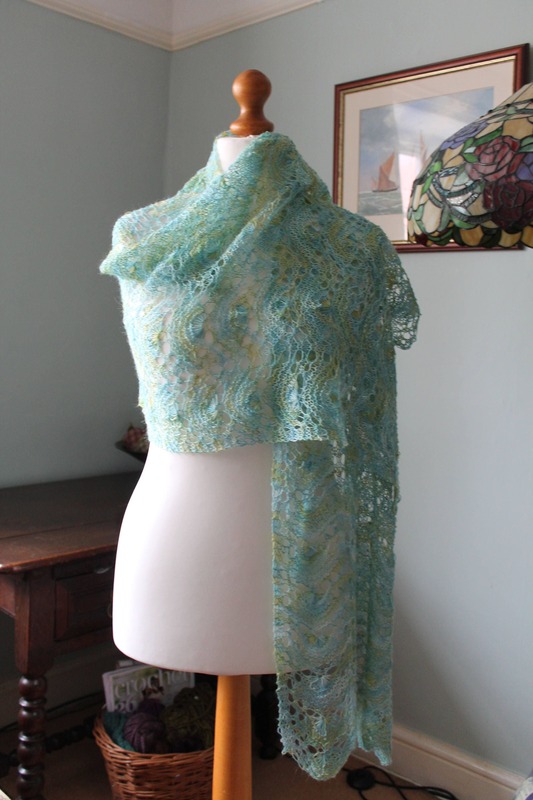 It has a different number of stitches per row (listed in the pattern) and is a great moving on project for knitters. 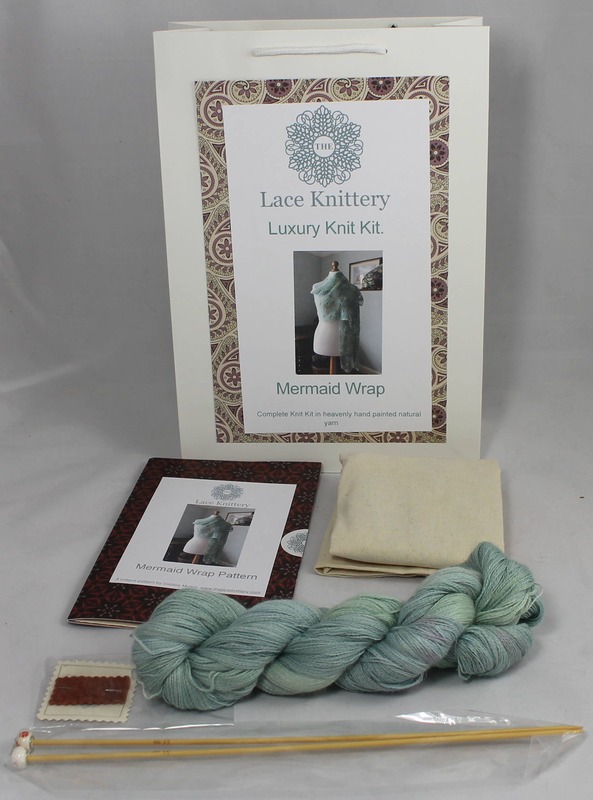 The kit contains everything to finish this wrap, all that is needed is a pair of scissors to cut the yarn at the end of the project. A comprehensive pattern in a keepsake folder. 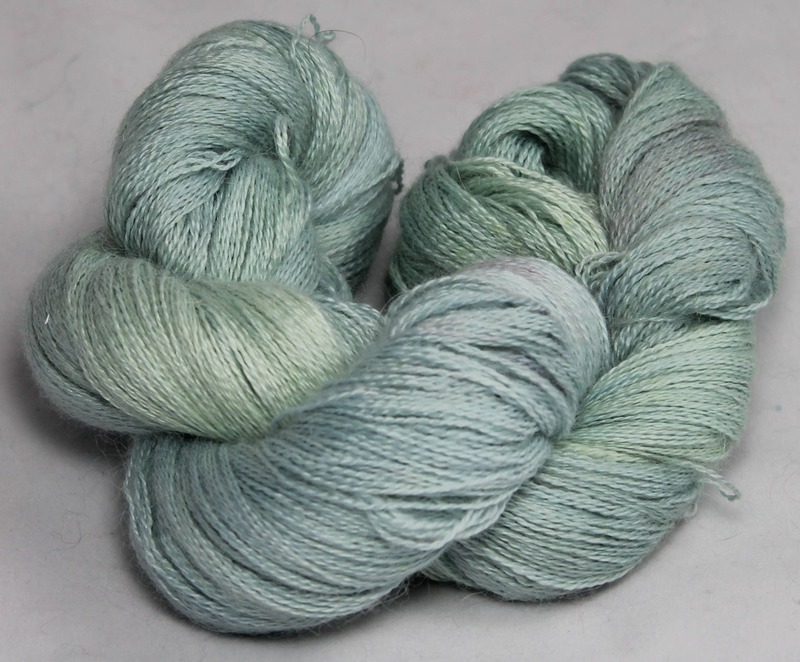 Hand painted baby alpaca, silk and cashmere yarn. Custom designed bamboo knitting needles. A Sewing needle to weave in the ends of the yarn. Cotton project bag to keep it safe or allow you to knit on the go. 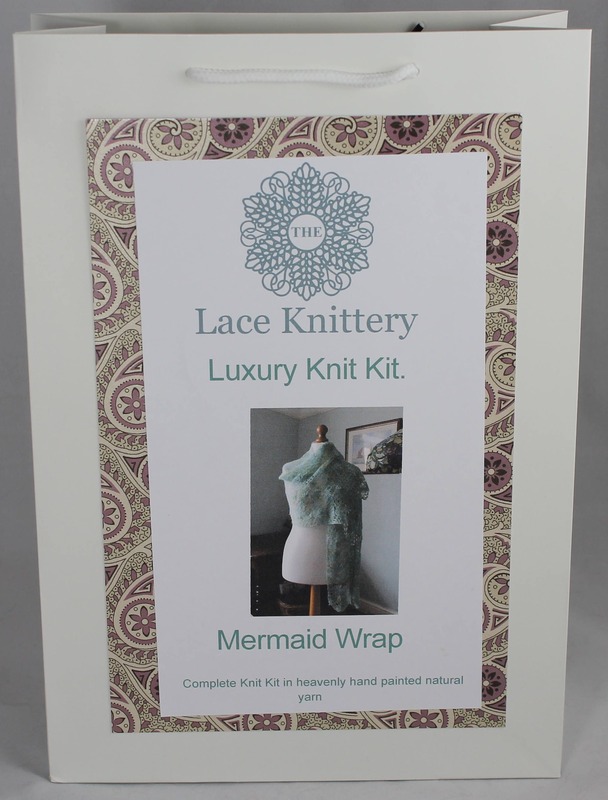 All packed in a glossy card bag with cord handles making it a great gift. For shipping it is packed in a sturdy card box making sure it arrives in pristine condition.